With 1,100 patents and over 100 years of service, USG is North America’s leading producer and distributor of gypsum wallboard, joint compound and an assortment of related products for construction and remodeling industries. The company provides ceiling suspension systems throughout the world, recognized as the premier acoustical panel and specialty ceiling systems on the market. 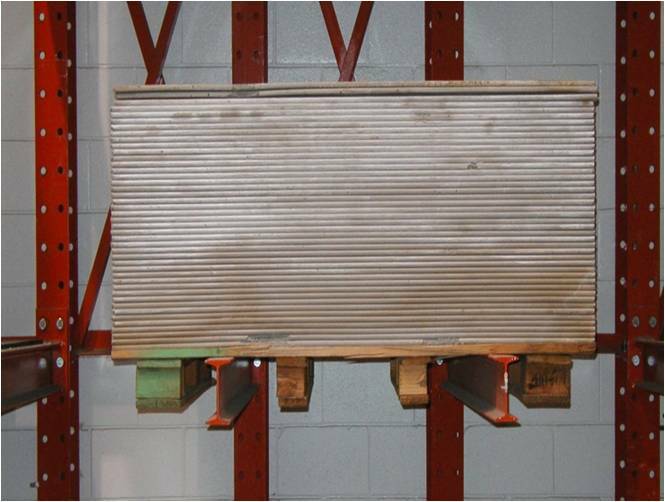 When pallet failures struck USG Durock®, a brand of cement backer board manufactured by USG (pictured below), they turned to The Pallet Alliance for an emergency solution. The Pallet Alliance leveraged their extensive industry experience and vast network of resources to pinpoint the failure causes and create an immediate solution. By modifying the pallet to be built with higher quality wood components, improved nails, a machine-nailing process, (but with less overall material), they achieved both a performance solution and cost reduction. 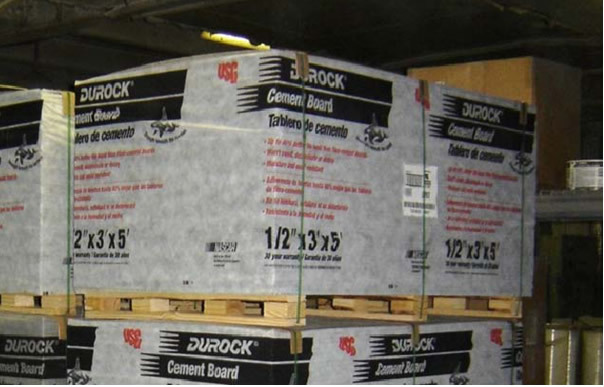 USG Durock cement backer board is produced wet before gradually becoming rock-solid as it cures over a period of a few days, stacked five-high in a moist environment. The Pallet Alliance realized the changing physical properties of the product presented a cost-reduction opportunity – an abbreviated shipping platform would use less wood and hold the product during both the curing and shipping lifecycle stages. The shipping platform also offered a reduced footprint – meaning more available space in the warehouse and on the truck. With the solution in place and an optimal design for shipping established, The Pallet Alliance shifted focus to not just solve the problem but optimize USG’s national pallet program to find the most cost-effective and efficient approach. This solution enabled USG to optimize its palletizing and materials handling systems, not only cutting costs per pallet, but also adding value to the supply chain process. 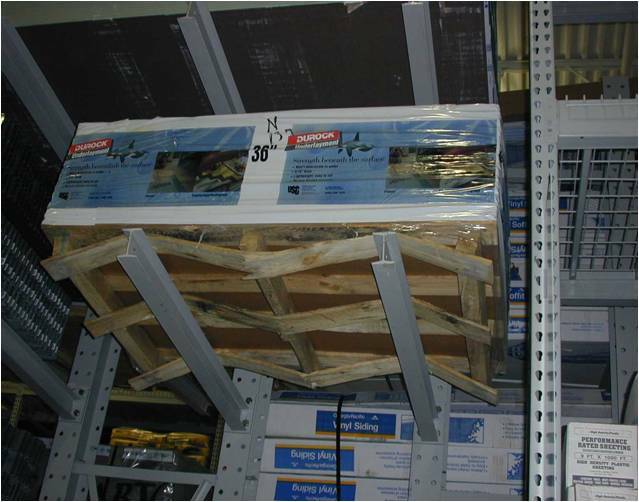 The close coordination between the USG and The Pallet Alliance teams throughout the process created an enduring solutions fit for the demands of the entire operation.